Essential Phone: New Flagship Killer is Born with Edge-to-Edge Screen, Modular Capabilities, Dual Rear Cam - Playfuldroid! 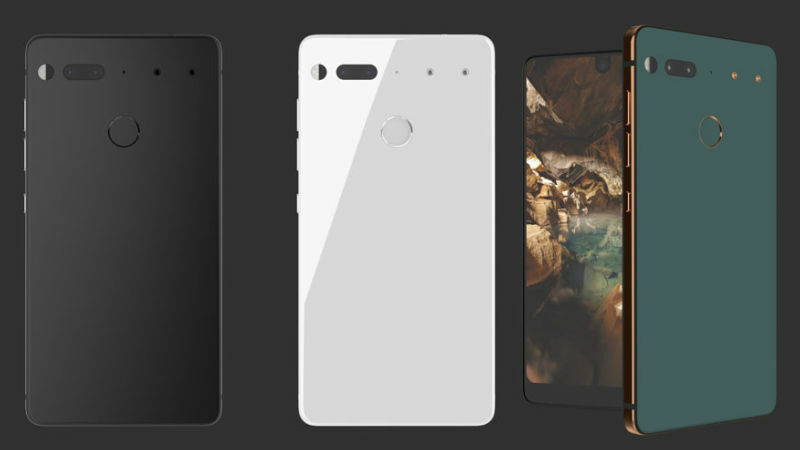 The much-awaited Essential Phone by the co-creator of Android has been officially unveiled. The specifications and features of the flagship can rival smartphones like iPhone 7 and Galaxy S8. The smartphone features a 5.7-inch edge-to-edge LTPS IPS LCD screen. It produces a resolution of 1,312 x 2,560 pixels and an aspect ratio of 16:10. It is powered by Snapdragon 835 chipset and 4 GB of RAM. The native storage of the phone is 128 GB. It does not feature a microSD card slot. The Essential Phone is running on Android Nougat based Ambient OS built that will provide enriched experience to the users of smart home devices. It has a rear-mounted fingerprint reader. It dual rear camera includes a 13-megapixel RGB sensor and a 13-megapixel monochrome sensor. It has an 8-megapixel front camera. The Essential Phone boasts a premium appeal through its titanium body and ceramic rear. The rear side has a two pogo pins to connect modular accessories such a mini 360-degre camera. It features a USB-C port but lacks a 3.5mm audio jack. It has a 3,040mAh battery. The registrations of Essential Phone have started in U.S. beginning from today. The unlocked phone is priced at $699. With the 360-degree camera module, it can be availed for $749. The phone would be also available through the U.S. carriers and retailers. There is no information on when it will be arriving in other markets. It comes in color choices such as Stellar Grey, Pure White and Ocean Depths.